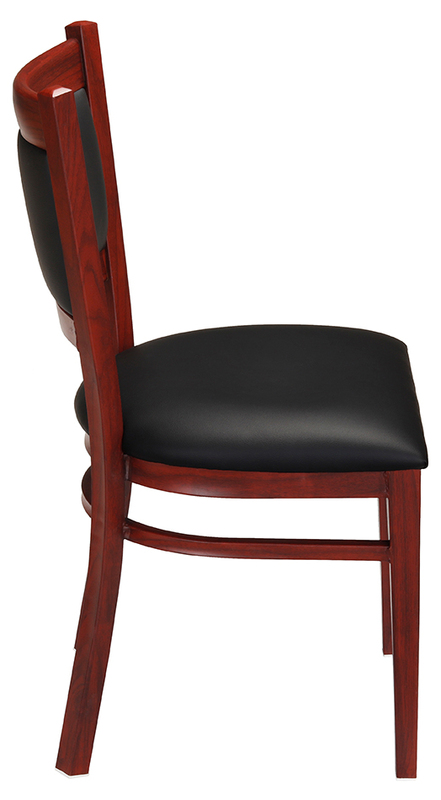 A combination of the metal costruction with the natual warm feel from the wood grain frame, this restaurant chair gives off a welcoming and inviting vibe to any space. 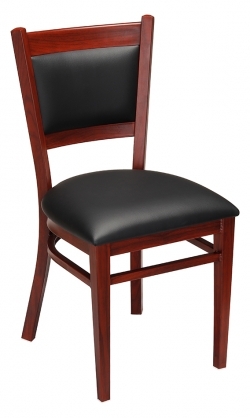 Performance vinyl on the padded back and seat in addition to high quality construction ensure that this metal chair will last through many years of service in high traffic venues. 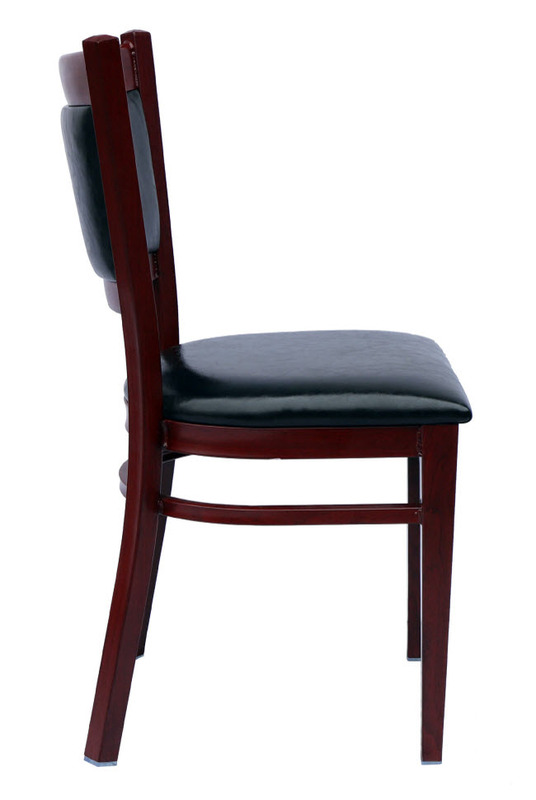 The casual rustic style of these commercial chairs makes them a perfect restaurant seating addition. 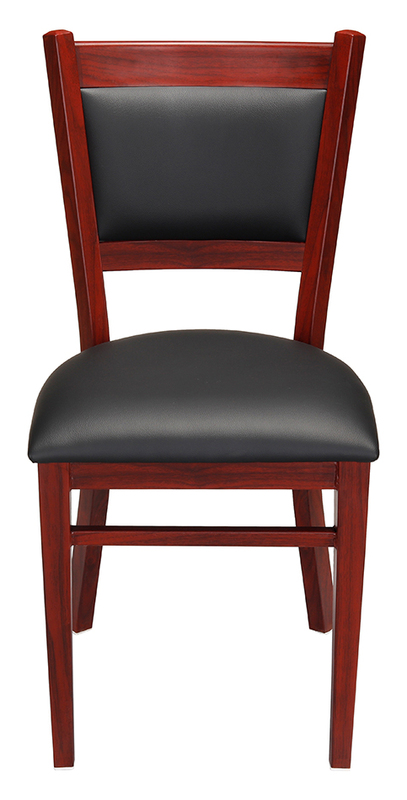 Design these metal restaurant chairs to match your decor by choosing from our wood grain frame finishes and colors for the padding material.